Hardcover, 8 1/2 in. x 11 3/4 in. 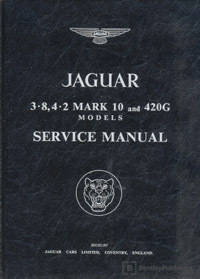 Includes supplements for Jaguar Mark X 3.8 and Jaguar 420G models.